So, will I do this again next year? Absolutely! 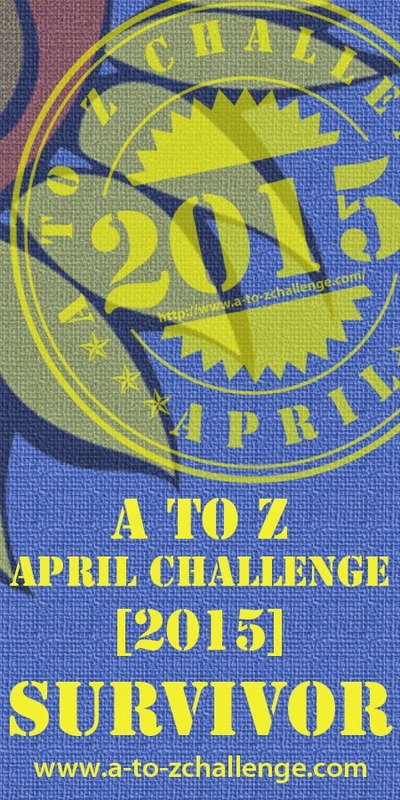 Though I admittedly stumbled through this month, I learned a lot through my first attempt at the A-to-Z Challenge. Next year, I will certainly try to write more posts ahead of time. Things came up at work and in my personal life that threw a wrench into my plans of writing posts daily. By having a backlog of pre-written posts, I will have more wiggle room for when such obstacles arise. Though I was exhausted by the end of it, I had an utterly fantastic experience doing the A-to-Z Challenge! I discovered so many new blogs to read, and had some great interactions with other bloggers. I only started blogging late last year, and this past month was a great way for me to learn about what the blogging community has to offer. Thank you so much to everyone who stopped by my blog, read my posts, and left comments! I can only imagine all the cool new blogs and interesting people I will discover in the future! Before the A-to-Z Challenge, my posting schedule was rather spotty. Now that I’ve gotten back into a bit of a writing groove, I hope to post more frequently. Starting today, I will try to post three times a week. I hope to have blog posts up on Monday, Wednesday, and Friday, with the occasional extra post appearing whenever I have time. Some posts will be longer, especially any reviews or creative non-fiction essays I may write up, while other days I may just post some poetry or a stream-of-consciousness reaction to something I saw or read. Whatever it may be, I hope you enjoy it! Again, thank you so much to everyone who visited during the A-to-Z Challenge, and of course, to all of the members of the wonderful hosting team!! Congratulations on completing your first challenge! Always nice to read of a blogger who got inspired from doing the A-Z Challenge. I didn’t get to visit your blog during the crazy month of April so I’m popping over today from the Road Trip/Reflections linky.